Probe effect: but it works with GDB! But that didn't work, because the helper thread never quits, and the main one waits forever. Here is a slightly simplified reconstruction of this bug. Don't pay attention to the epoll configuration, I don't know how to use it and didn't learn! yes, it's blocked, that was expected. Ctrl-C to quit. What !? the application now prints KTHXBYE and exits normally ... ! That's the probe effect ! The probe effect ... may not be directly related to the probe! ... to the fact that GDB (and signals) interrupt system calls ! EINTR : The call was interrupted by a signal handler before either (1) any of the requested events occurred or (2) the timeout expired; see signal(7). In my libevent application, the thread was blocked in this epoll_wait syscall, which was interrupted by the debugger/signals. Then it checks for the exit flag and terminates as expected. Debuggers (and signals) may and will interrupt system calls. Your code should take that in consideration, that's a normal behavior of system calls. 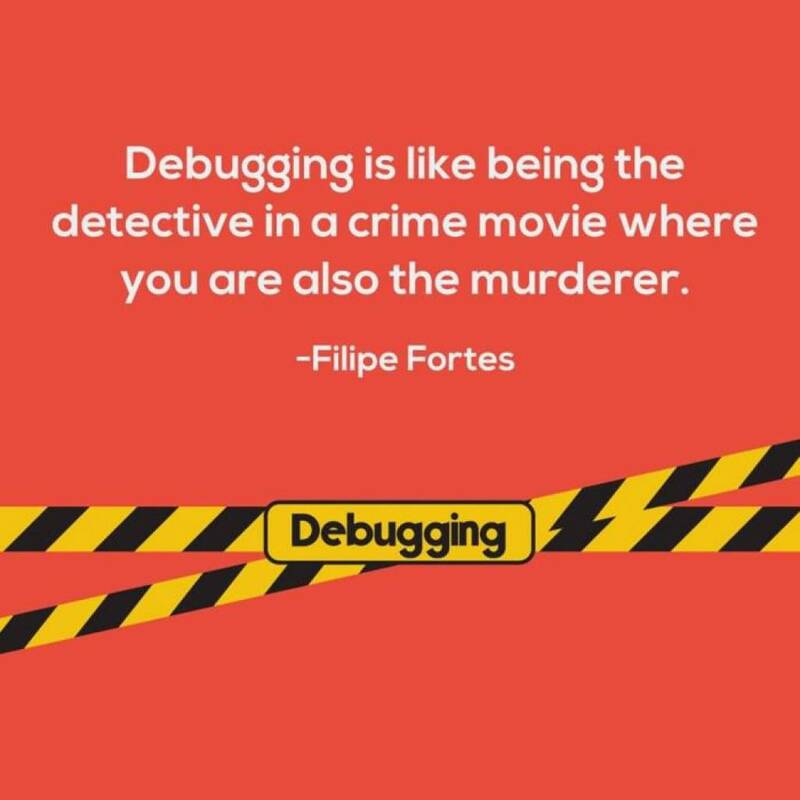 But that may also introduce "probe effects" when you try to study your code with a debugger! 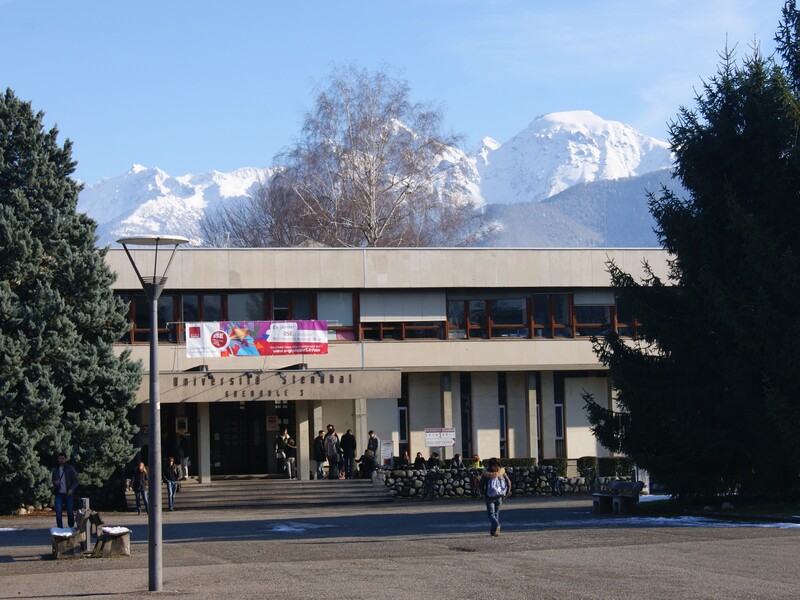 Since the beginning of my PhD program in 2015, I'm working on the campus(es) of the University of Grenoble. 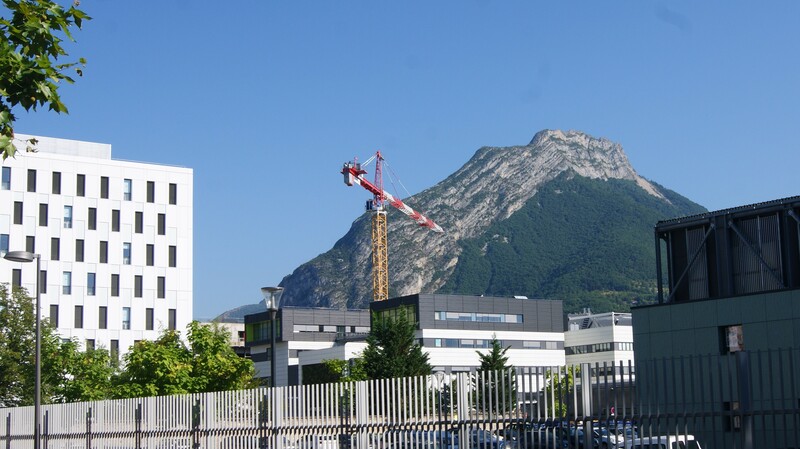 Grenoble is located in a basin in the middle of 3 mountain ranges, Belledonne (the highest, with many rocky summit above 2000m) and Chartreuse and Vercors, more modest but also greener. Vecors mountain, le Moucherotte, a nice hike! When you're scubadiving, one important thing is to keep track of the air you've got left in your tank, and more importantly, how fast it goes down. Just a quick reminder for non-scubadiver readers: the deeper you are, the more air you consume, because of the increased pressure. At surface level (1atm/~1bar), your lungs can hold ~7l of air. At 10m (2atm), they'll hold the equivalent of 14l of air. That's 21l at 20m, 28l at 30m and 35l at 40m. That means that if you hold your breath from 40m to surface, you'll literally explode! It also means that you don't consume the same quantity for air depending of your diving depth. And now, I can start computing my air consumption. at Ti I was at depth Di, and at Ti+1, I was at Di+1, so I assume that I spent Ti+1 - Ti seconds at (Di+1 + Di)/2 meters. I know this is a very simplistic, but as Ti+1 - Ti is 20s for my computer, so no more that a few meters, that's good enough for my purpose. the same applies for the end-of-dive volume, Vstop. I consumed Vconso = Vstart - Vstop litters of air during the dive. I compute the "equivalent surface time" Teq.surf = Ti * Pi in minutes, which is "the time required at surface level to breath the same quantity of air than Ti minutes at Pi atm". and I compute the air consumption by diving the breathed air volume by this surface-equivalent duration. and I didn't write down enough details for the previous ones. It's hard to tell if the computation is good enough, the last 4 dives (top of the list), where during the same weekend and the consumption are every homogeneous, but the 2 previous ones are surprising. Maybe the cave dive was a bit stressful, even if I didn't notice it, maybe I didn't write correctly the tank sizes correctly (I also had to breath on 2 independent tanks), and for the dive at 27l/min, my suit was too large, I could feel cold water each time I was breathing, I don't know if that explains the figures twice as high ... or my computations are just wrong ! In my previous post on what I like with *nix OSes, programmability and composability, I didn't mention one point that is globally orthogonal, but still participates to programmability aspect: the is a very large set of Free, Libre and Open Source Software (FLOSS). I don't contribute much to these projects (I'd like to but I lack time, I already spend too much time working on my own projects), but in "exchange", I do my best to show (to myself mainly) that the FLOSS ecosystem is mature enough to use it daily. I won't say I use it exclusively, but anytime I can choose, I favor FLOSS software and FLOSS-friendly hardware. Why would I crack (or pay for) an application when someone happily made it for free? Nowadays, after quite a longtime in this mindset, I'm honestly surprised and astonished when I hear someone saying, "I use a cracked version; I can find you a crack for that tool". In my computing world this doesn't make sense anymore! ... and certainly many others I forgot! One month ago, I read this article on Hacker News: Signing in to websites with SSH. Although what they discuss is too advanced for my needs, I loved the idea, and I wanted it in some the tools I use. That's nothing complicated, but quite convenient for me! Each time my IP changes, I run ssh_connect_me, and I'm logged in immediately. I'm not sure how secure it is, I'm got daily backups for both databases and nothing confidential accessible to them, so I guess this is safe enough. I initially put a time limit, but I don't see any real interest after all. Since almost two years, I rent a bit of space on the Internet to host my services, and an address (or two) for "my place". 0x972.info and kevin.pouget.me (actually, pouget.me) is where you have to go to find me. During the first year, I used L'Autre hosting facilities, but I realized that I frustrated not to have a complete control over the server. I guess if you just need a simple HTTP/PHP server, and/or limited Linux administration knowledge, L'Autre would be a nice platform, with a friendly and responsive community. So last year, I switched to PulseHeberg vps, with which I'm quite happy (although it's not always that fast, but I can't say if it comes from the VPS power, I may 7e/month, I could upgrade, or if it's their network ... ). One thing I was not happy with, with the current version of AlternC (v3.2.3), it's that it doesn't support the HTTPS protocol (maybe because it's complicated to manage user certificates?). But it doesn't matter, as AlternC is easy to tweak. So let's try to understand how Apache vhost are configured. Where is the template for this file? $ grep DocumentRoot /etc/alternc -r ... /etc/alternc/templates/apache2/vhost.conf: DocumentRoot "%%document_root%%"
There we are :-) I just have to duplicate the template, change the port (can configure Apache to talk https to that port), and I've got my secure web-pages ! Currently the pages are served under a self-signed certificate, which is not the best as people need to accept the certificate first, and not everybody understands what this step means, but wild-card certificates (for *.0x972.info) cost a lot! I can't deny I still do most of my management from the command line, and that's good because that's the reason I left l'Autre! Ten years ago, I started university and learned how to program and use Linux. A couple of years after, I kicked Windows (XP) out of my computers, and never get back to it since. I'd like to come back on one aspect that makes me love Linux-based environments: they are easily to program (but by easy, I only include myself, I know it's not true for everyone!). Computers are good at repeating things and following rules. That's the only thing they actually do, so I want to be able to exploit it, and I do it quite often, not just as part of my development work, but also to improve my daily use of my computer. Composability is ability to connect different tools together. That's actually part of the "Unix Philosophy", combining "small, sharp tools" to accomplish larger tasks. What did I last use ? grep grep a word in a text ... wait, grep is not an english word ... from their man page "grep searches the named input FILEs for lines containing a match to the given PATTERN"
ssh connect to a remote computer, and do everything you can do on your console in another computer. Great to help your significant other, but requires a bit of configuration to help your parents on the other side of earth. Last week, I had to 1/ modify a file 2/ save it 3/ go to a console window 4/ hit the up key (ie, go to previous command) and 5/ hit enter to generate an image. Points 1/ and 2/ are not that repetitive, but 3-5 are. So let's see if we can automatize this a bit. inotifywait is the tool for that! and finally, in my console, I just run $ autorun $MY_COMMAND, and hit F9 to trigger my command execution (that was more convenient/easier than a compile-on-save). That's nothing complicated, advanced, nor really meant to reuse after I forget about it, but it surely saved my some time and concentration (it's not the few seconds I took to do it manually that are the problem, but rather that I had to get out of my problem during that time and possibility lost my thread of through). I wanted daily backups of my MySQL databases, into separate files, keeping the last 7 backups, but only if the database was modified since the last backup. When software tools evolve again and again, they accumulate a lot of functionalities that are provided to their users. And frequently, these functionalities can be combined to create "higher level" functionalities. Either you click on the first feature, configure it and run it, and the same for the second, and the third, and you start over when you want to replay the high-level feature. Or your tool can be programmed (or scripted, if it differs). GDB can be scripted with Python, Guile or its command-line commands. The Python interface is very powerful (Guile is quite new, I never tried it). To give an idea of what I mean, I build all of my PhD thesis tool, mcGDB, using that interface. This means that, out of GDB's default functionalities, I built a brand new tool, original in the research sense. No one though of that before (hopefully), but thanks to GDB's generic interface, I could develop what ever I had in mind. I'm not sure it's fair to put console shells like bash or zsh in this list, but they are obviously great at being scripted! Bash scripting evolved a lot since the traditional sh capabilities, and shell scripts are massively used in Unix environments. Emacs can be configured and extended with through its Lisp engine. What do I do with that? "ask for confirmation before exiting emacs"
"Load english dictionary in background for dynamic completion"
~/Documents/redactions/english is a dump of all the words known by aspell spell checker. (make-buffer-uninteresting) adds a space in front of the buffer name, so that it doesn't appear in the buffer lists.